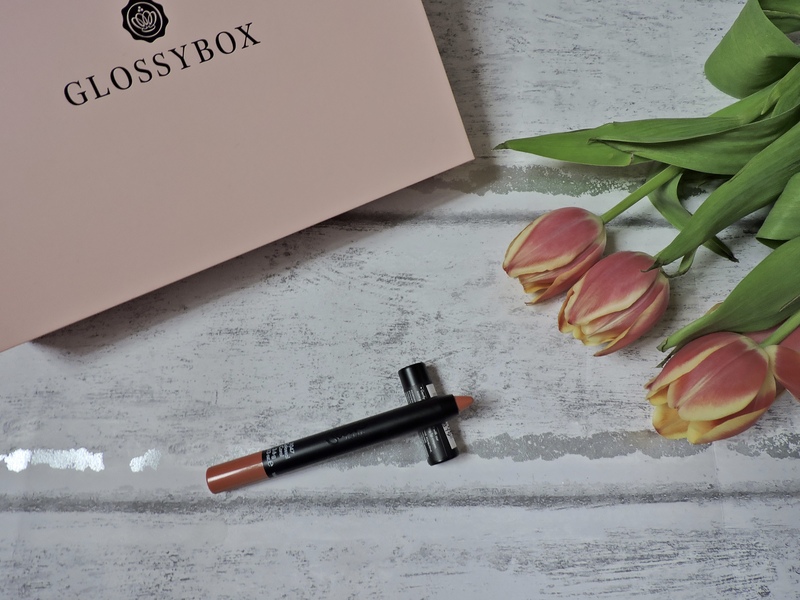 This months June Glossybox & Birchbox are going to be together. I find it so much easier putting them into one blog post, but also because it is nearly the end of the month and I want to get them both out before next month. This months Glossybox was a winner, just like last months I have even loving everything in this box. Also can we just quickly discuss how gorgeous these tulips are.. The Hero Project HYASOFT INSTANT MOISTURE BOOST. This moisture boost has made my skin so soft and hydrated since using it. It has a gel like consistency, so if you aren’t a fan of gel formulas then you wont like this. It is really good for people who have sensitive skin or skin that needs a little extra boost. I use this before I moisturise my face in the morning or at night. It is really simple to use, and even though it has a gel consistency it isn’t too mucky on your fingers once applied. It soaks into the skin really well and it is really refreshing, especially in the morning. I was a little disappointed with this product. On my hand it looks really nice, but when I applied it to my face the colour didn’t come out. I was expecting such a big, bright highlighted look, but I didn’t get that. It just blended into the skin and disappeared. This is a liquid highlighter and the packaging is really pretty and the colour on my hand is also pretty, but it didn’t pick up on my face. It is really easy to use, but I do prefer using powdered highlighters compared to liquid ones. 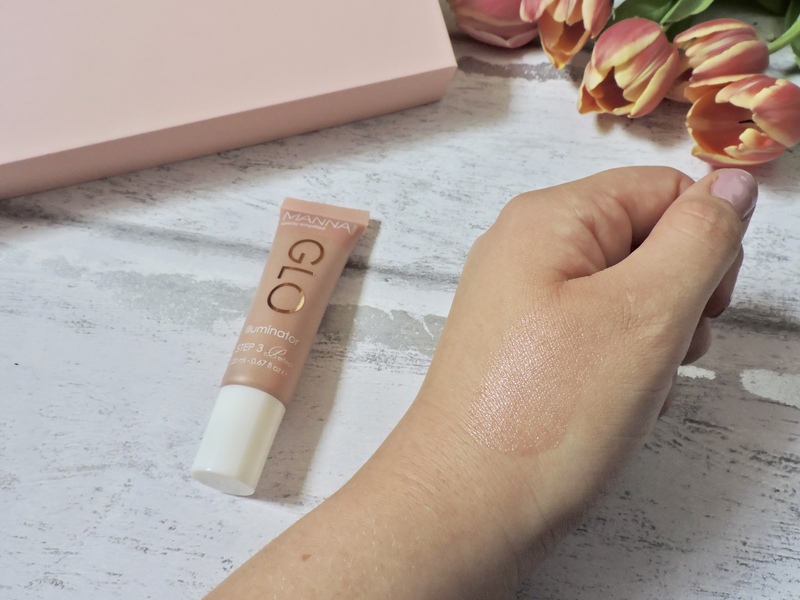 If you like really sheer liquid highlighters then this is going to be for you. 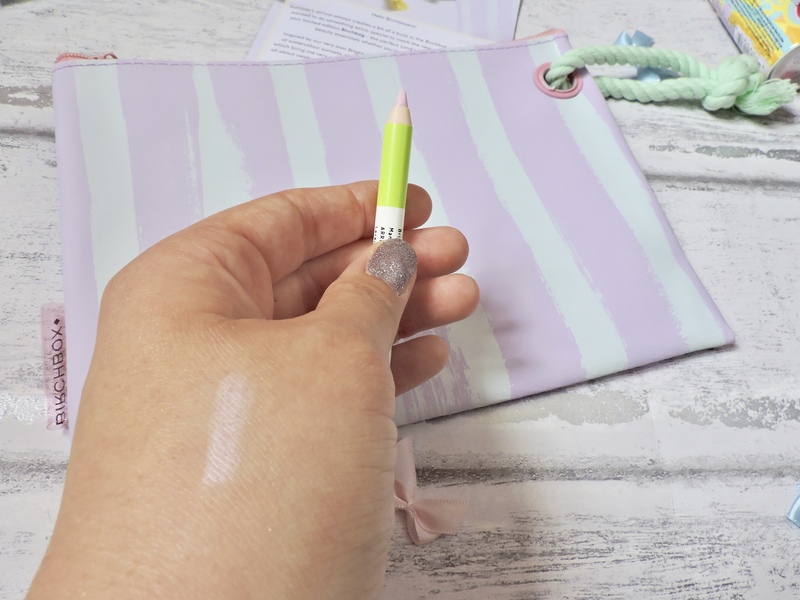 It’s such a handy piece of makeup that you can take on the go with you and top up your highlighter if you need to. It will fit right into your handbag! I was really excited to use as I have seen these charcoal peel off masks advertised everywhere. It went on really well and that was a lot of contents inside the packaging. I had more than enough to cover my face and my boyfriends face. It dried quicker then normal peel off masks, which made me happy because sometimes I am too impatient to wait for the peel off masks to completely dry. When I peeled this off I was expecting better results to be honest, I thought it would peel off alot more than it did. I don’t really have bad black heads so I dont know whether I should take this as a compliment or not. 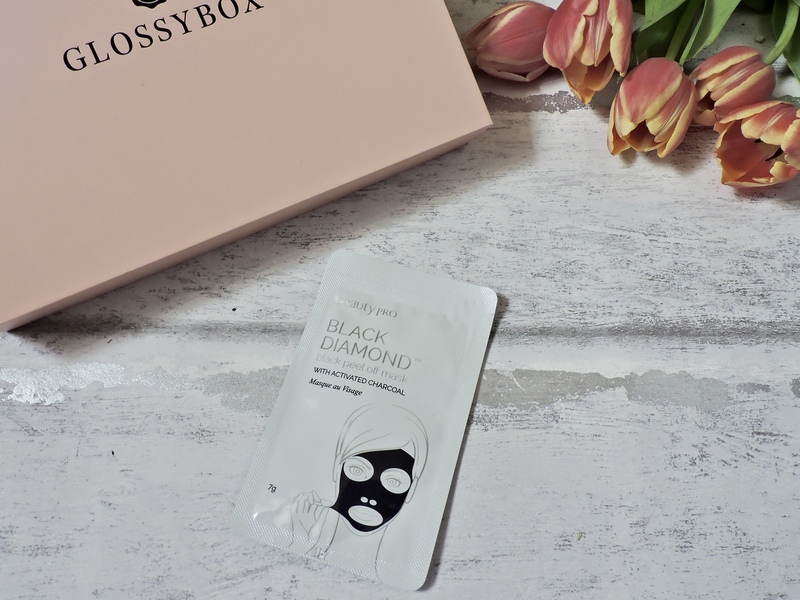 It might just have been me, if you received this in your Glossybox – let me know your thoughts on it down below. I love any kinds of eye gels or eye creams as it makes a massive difference on my eye area. I have really enjoyed using it as it is so refreshing under my eyes and it makes them look less puffy in the morning. I love that it has a little pump to pump the gel out rather than having to squeeze it out. I find this product really wakes me up in the morning, so if I need that extra boost in this morning this will definitely help with that. This also has the consistency of a gel, and again it doesn’t stay on the fingers for ages once applied. I would highly recommend this to anyone who struggles with dark circles under their eyes, or if they sometimes get puffy eyes as it work really well to combat that. I didn’t even notice this was a lip plumper until I put It on my lips and it started tingling lol. I don’t really like lip plumpers if I am honest, but Sleek is one of my favourite makeup brands on the high street. The tingling sensation on your lips when using a lip plumper is so uncomfortable for me, I know it is meant to make your lips look bigger but I just can’t stand the feeling on my lips. The colour is such a beautiful coral colour and it looks stunning on your lips. It is such a nice summery colour that will go well with anything you want to wear this summer. 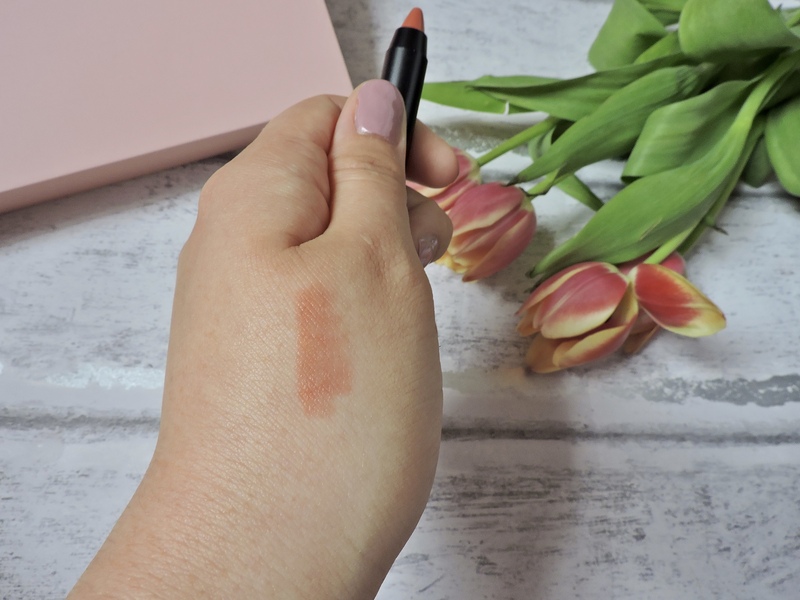 If you are in to this sort of lip product then this will be the perfect lipstick for you as it is SOOO AFFORDABLE and it is stunning, I am pretty sure they do other colours aswell so you have a good choice of colours. I didn’t like that it was a plumper, but I love the colour so I am going to have to try to put it up with. It is really shiny and surprisingly it stayed on for a while throughout the day. I really like this brand and when I saw this product I was very happy. Some days I do love a nice curl, but other days when I fancy my hair being straight I want my hair straight. However, when I straighten my hair, it always starts to go wavy throughout the day. Before straightening my hair I have been using this and it has made a difference. I love the purple and turquoise packaging, it is really bright and catching to the eyes. I would definitely recommend this product if you are someone with really frizzy hair and you want to reduce that. This brand aswell is always on sale and they aren’t expensive anyway, so they wont be expensive at all. 111 SKIN Space Defence Bright Eye Lift Gel. – £110. Sleek Makeup Power Plump Lip Crayon – £5.50. Manna Kadar Cosmetics Sheer Glo – £22.50. 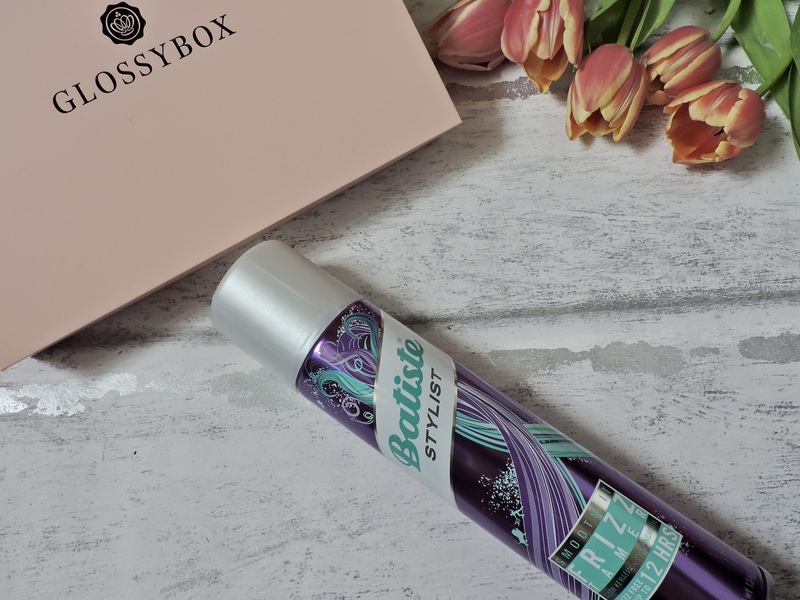 Batiste Stylist Frizz No More Tamer – £4.49. The Hero Project HYASOFT INSTANT MOISTURE BOOST. – £19. This months Birchbox was actually a Birchbag lol and it is the cutest thing!! it is such a summery bag with a little rope handle which is so handy. The pastel colours of purple and light green go so well together, you wouldn’t have thought it. This is definitely my favourite Birchbox up to date so far. I love the fact that they changed it up and all of the products came in this gorgeous bag rather than a box. Since receiving this bag I have been using it to store all my samples of beauty products and makeup that I havent got round to trying that I really want to try. – The bag, which is Birchbox exclusive. 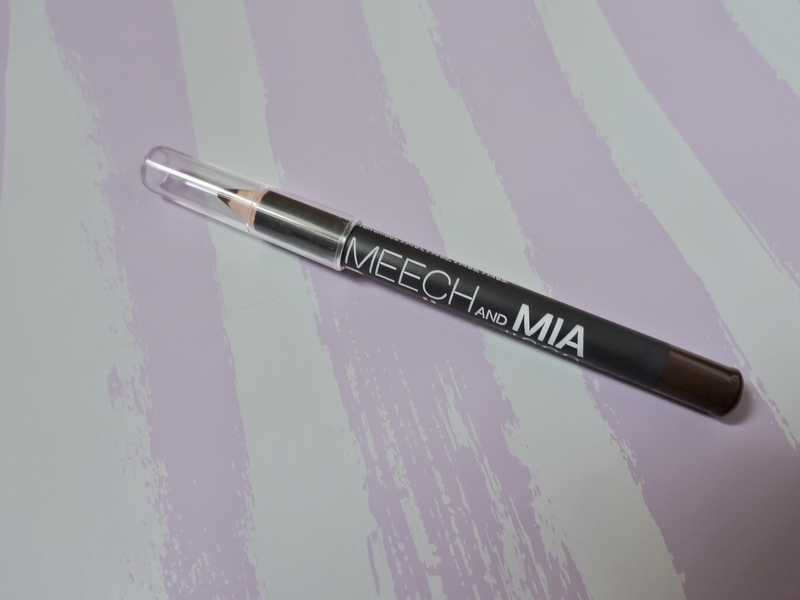 – MeeechNMia Brow Liner – £12.99. 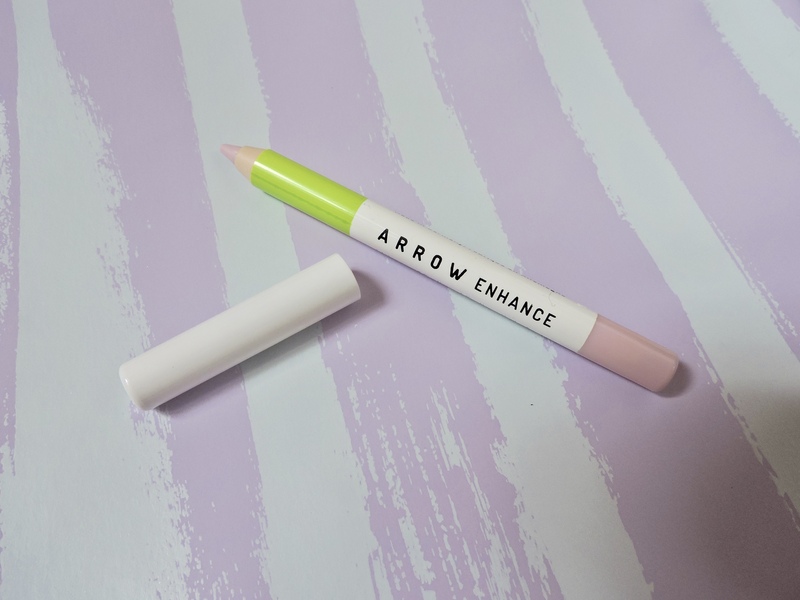 – ARROW Enhance Waterproof Eyeliner – £12. – Cowshed Cow Pat Hand Cream – £8. 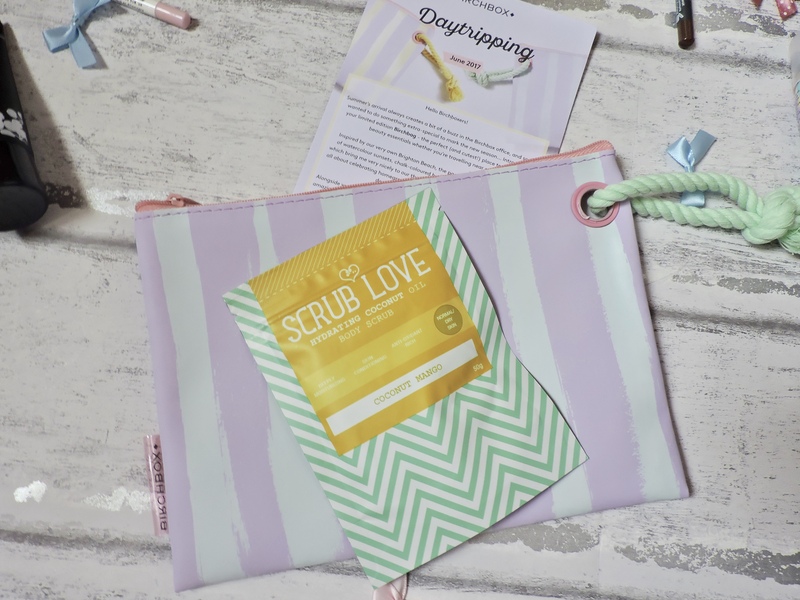 – Scrub Love – £11.95. – Amika Dry Shampoo -£20. I firstly got 15% off Trouva which was really kind to send this to me. Handcreams as well as body lotions don’t really excite me. I have heard about this brand before and therefore I was actually excited to try it. I found that I rubbed in really well to my hands and it didn’t leave them feeling sticky for hours after ( which is something I hate ) It also smelt really nice which was good, but I wouldn’t go out of my way to buy this product. If I did buy it would be because I like that it isn’t sticky on your hands for ages. I probably wouldnt buy this if I saw it in the shop, but I do know that this is going to come in handy in the winter. I LOVE SCRUB LOVE!!! I think they are a great price for the quality of the product. They have a range of scents which I love, but this is by far my favourite one so far. This product is such a good exfoliator, I know this is going to come handy in the winter when my skin is a lot more dry. However, it has also been perfect for my skin during the summer. From someone who does suffer with dry skin, this does irritate or cause any redness on my skin at all. It applies really smoothly and it smells amazing! It leaves your skin feeling so buffed and refreshed, especially this scent it is so refreshing to use in the morning. They offer a great range of scents for you to choose from, so there is something for everybody. I have been loving using this. It is such a lovely pastel pink colour and it sits really nicely in the waterline. This is something that has pushed me out of my comfort zone because I don’t normally use eyeliners on my waterline, but since receiving this I have been using it a lot and really enjoying using it. People have noticed my eye makeup a lot since using it and I have had people commenting on my eye makeup. Since using this I have a lot been experimenting with different eyeshadow looks and I have been loving it. The consistency is really creamy and easy to blend if you needed to. IT IS VERY LONG LASTING!! it stayed on my eyes on day, which I was kind of shocked about but also very happy about. This is the only product that I haven’t used in this bag yet as I am currently really happy with what I am using on my brows, but it is going to be such a good backup. 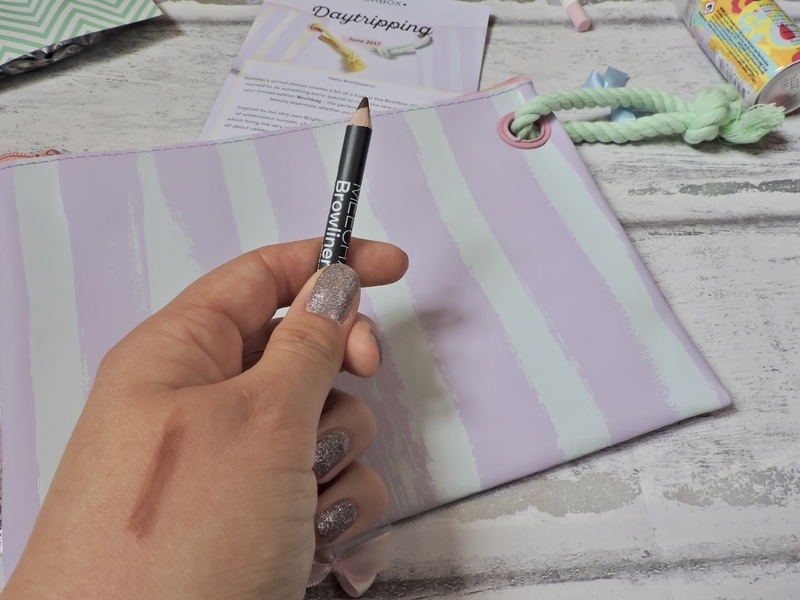 From swathing it on my hand, I really liked that the product was buildable, which is good especially for your brows as you don’t want really thick blocky brows, you want them to look as natural as possible. I liked the packaging of the product, as I thought it was simple and really effective. I had never heard of this brand before, it is always exciting learning about new brands. This dry shampoo was absolutely amazing!! one thing that bugs me about dry shampoo is the feeling on your hands after you spray it and rub it into your hair. I hate the texture of my hands after and it normally stays like this for a while, but when I tried this dry shampoo, I was blown away! I didn’t have to worry about my fingers getting the white textured powder on them because there was none. It was soooo easy to rub into my hair and it smelt so delicious! it literally makes me want to use it on days that I might necessarily need to use it, but I just want to use it for extra product. I love the packaging of the product, it is so quirky and colourful and would really catch anyones eye. 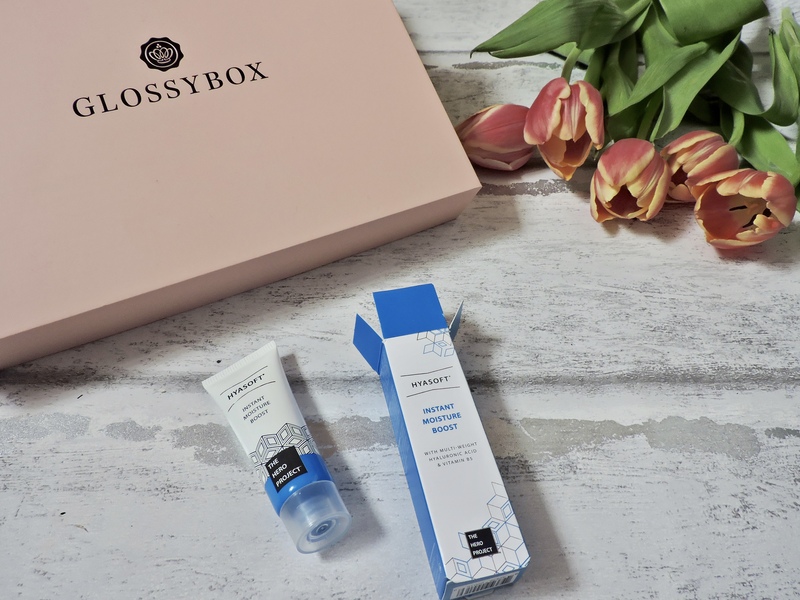 What did you think of the products inside the June Glossybox & Birchbox? Reeeeeally wanna sign up for both of these. Check out my latest posts? I love the Amika dry shampoo! It is probably my favorite of all the dry shampoos I’ve tried which surprised me because not that many people talk about it. It is so good! I’m glad that you agree! I agree, not a lot of people know about it do they?! Okay, now I feel like I need to engage in some Sephora shopping therapy. I need to sign up for these boxes!! 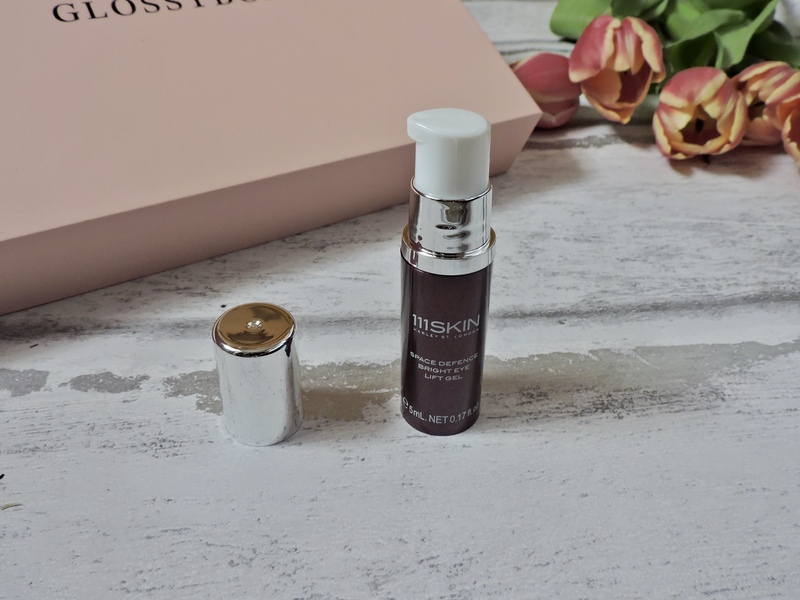 It’s always interesting to see how people’s thoughts on these products differ – one of my friends also had a Glossybox this month but she hated the eye serum, I’m glad to hear that it suited you much better! I love the look of that ARROW eyeliner, I’ve never heard of the brand before so I wanna check them out! Really great post! I’ve never subscribed to a box before but this ones are just so great that they make me want to! Great post, makes me want to try out one of these monthly boxes even more! ooo that’s a good box! I find them a little hit and miss but that bag in itself is worth the pennies! 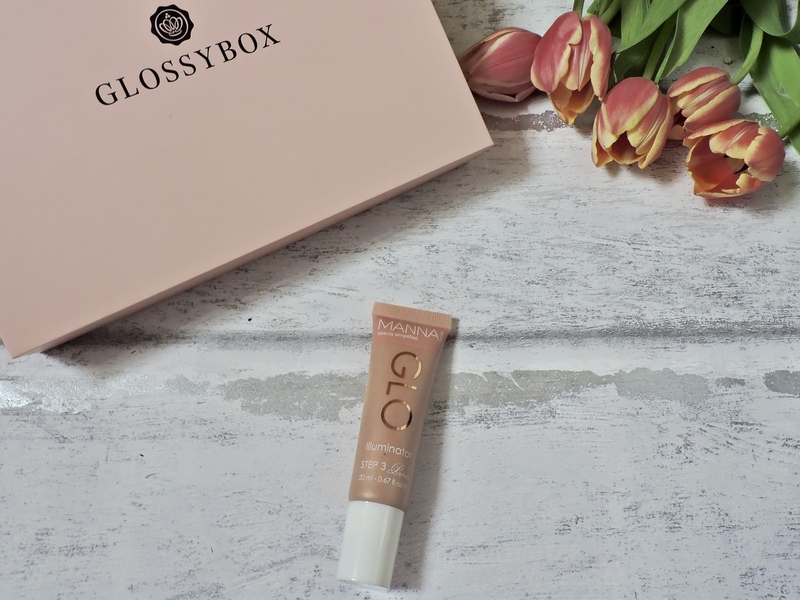 I think Glossybox is really really doing well at the moment. There were a few months last year that I thought they’d lost the plot a bit but they’ve done so well this year, I’m kind of intrigued to see what next month will bring! That scrub looks so good! I love buying body scrubs at the moment! I’ve never subscribed to glossybox before but this looks like quite a good box! The Birchbox goodies looked sooo great! Particularly like that pastel bag! Such a shame about the illuminator it looked so good on your hand. I am a slave to the powder highlighters myself as well. I think the power highlighters are so much better! Your photos are beaut! I love seeing what others got in different subscription boxes. It sounds like you got some fab products this month, I particularly like the water proof eyeliner. Thank you! I do swell, I always check what others have got as they sometimes get different products. Thanks for commenting! All of these products look so good!! I’ve been so torn between subscribing to Glossybox or Birchbox which one would you recommend? I resubscribed to Birchbox last month as I thought the box looked right up my street. I might have to do the same with Glossybox too, as that seems to have gotten a lot better since I left! These are such great reviews! Try mixing that liquid highlight with a matte foundation! It might work better that way! Thank you, and I did and I didn’t really notice any difference. Going to stick with it though and give it another go! thanks for the suggestion! 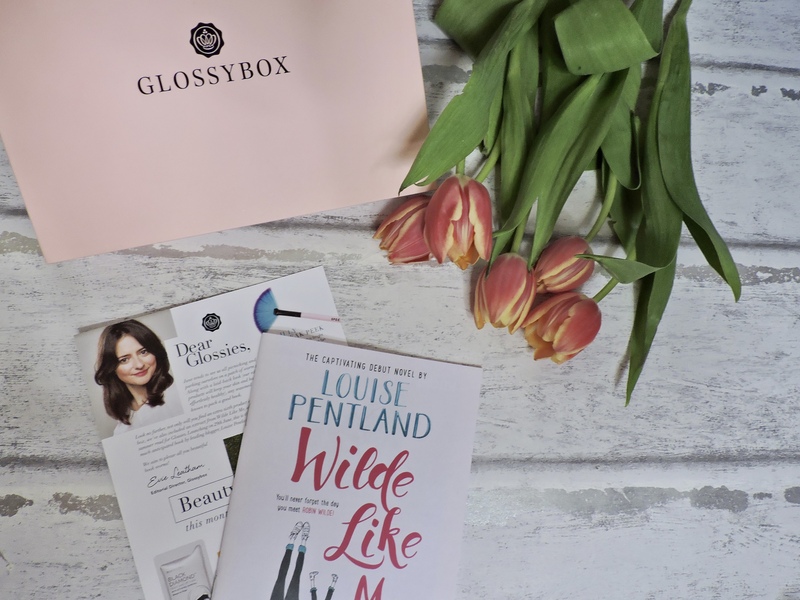 I have always wanted to try the glossybox. They look amazing and i love reading reviews about it. Love this! Really want to try out a glossy box! Think your post has tempted me! you should! I am sure that they will have something you love! I really love the idea of a beauty box, but I am vegan and only use cruelty free items so it limits which products I can use. I know there are vegan beauty boxes I just need to get myself organised. P.S. followed you on Bloglovin, would appreciate a follow back if possible? I have debated getting a subscription box for so long but I never knew which one to go for. Every time I did some research into it these 2 boxes came out on top, and I still don’t know haha! great post! i love birchbox! !